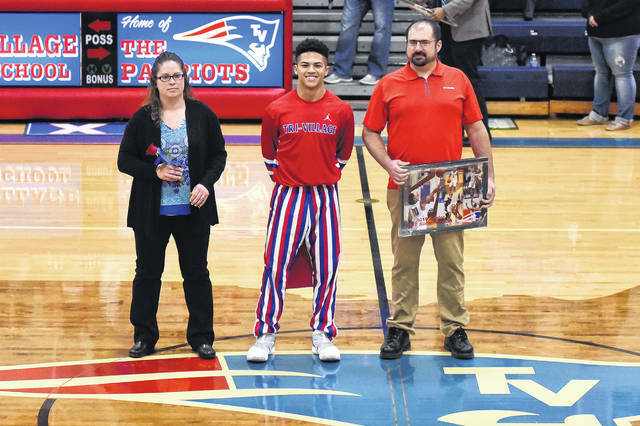 NEW MADISON – Fourteen seniors were recognized during the Tri-Village boys basketball game vs. Miami East on Tuesday night. Jadyn Patrick is the daughter of Michael and Mindy Patrick. 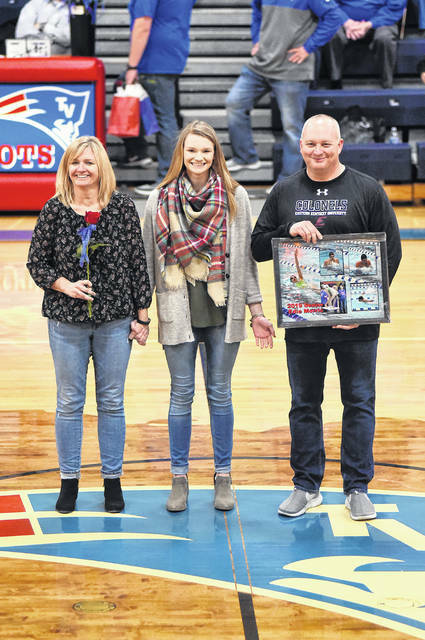 She participated in Archer for 3 years where the team qualified for the state tournament in 2017 and 2018. They also qualified for the National and World Tournament as well. Jadyn plans to attend The Modern College of Design in the fall. 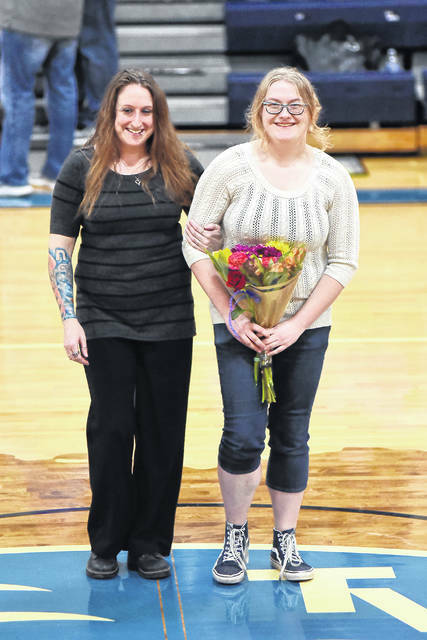 Brianna Shumaker is the granddaughter of Jerry and Chris Shumaker. She plans to attend the Columbus College of Art and Design and major in animation. Edie Morris is the daughter Lee & Robin Morris. She participated in basketball 2 years, volleyball 4 years and swimming 4 years. She was named Daily Advocate Athlete of the Week. A 3 year district qualifier in Swimming and 2018 State qualifier. Class President 4 years, Key Club 2 years, National Honor Society 3 years and National Honor Society President. Edie plans to attend Eastern Kentucky University and major in Nursing and minor in Spanish. Elijah Driver is the son of Shane and Heather Driver. A member of the band and Low Bass Section Leader. He earned the Directors Award and also participates in Pep Band. Elijah plans to attend Belmont University and major in Audio Engineering Technology. Grace Moore is the daughter of John Wion and Cynthia Cook-Wion. She participated in Horse 4-H and Buckeye Buckaroos 2009-2018. Concert Band 2011-2019, Marching Band 2014-2019. Woodwind Section Leader for Marching Band 2017, Drum Major Marching Band 2018 and received Directors Award 2018. Grace plans to attend Bowling Green to pursue a bachelor’s degree in Music Education. 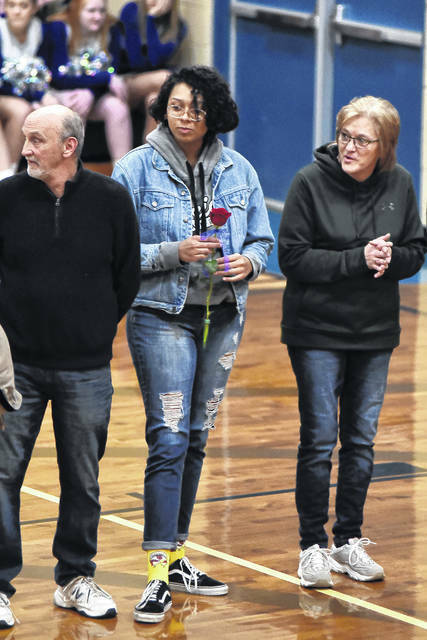 Logan Brooks is the daughter of Jim and Tonya Clark. She participated in basketball cheer 4 years, football cheer 4 years, dance and cheer competition 4 year and softball 4 years. She also was in key club 2 years, yearbook staff 2 years, yearbook editor 1 year, drama club 1 year, prom committee 1 year, prom court 1 year and homecoming court 1 years. Logan plans to attend Creative Images Institute of Cosmetology to pursue a career as a Cosmetologist. Phoebe Campbell is the daughter of Rob Campbell and Jane and Matt Combs. 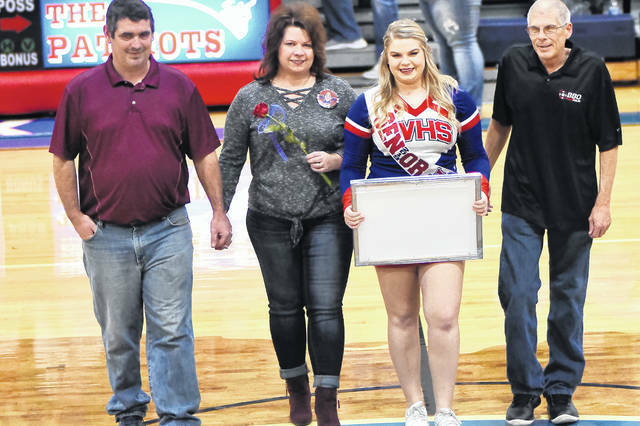 She participated in basketball cheer 4 years, football cheer 4 years, dance and cheer competition 4 years, softball 1 year, key club 2 years, prom committee 1 year, college credit plus 3 years, the dean’s list 3 years, buckeye girls state 1 year, band 2 years and class treasurer 2 years. Phoebe plans to attend Miami University and major in English with a minor in Political Science. Grace Engle is the daughter of Roger and Leslie Engle. 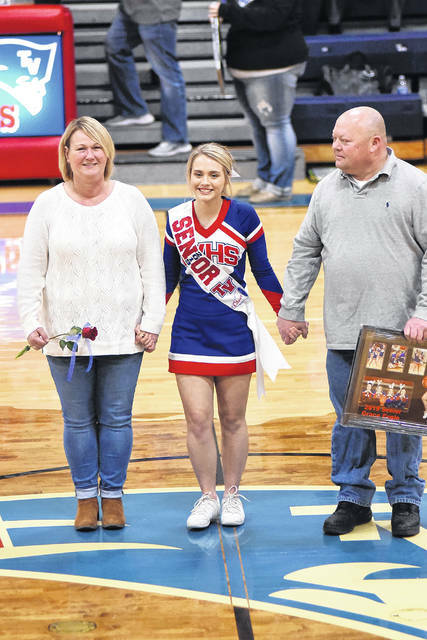 She participated in varsity basketball cheer 4 years, football cheer 4 years, dance and cheer competition 4 years and qualified all 4 years for OASSA State Competition. Junior prom court, senior homecoming court, 2018 homecoming queen, 2 years student council, 2 years key club, 2 years peer tutor, 2 years college credit plus, 1 year yearbook staff and senior class secretary. 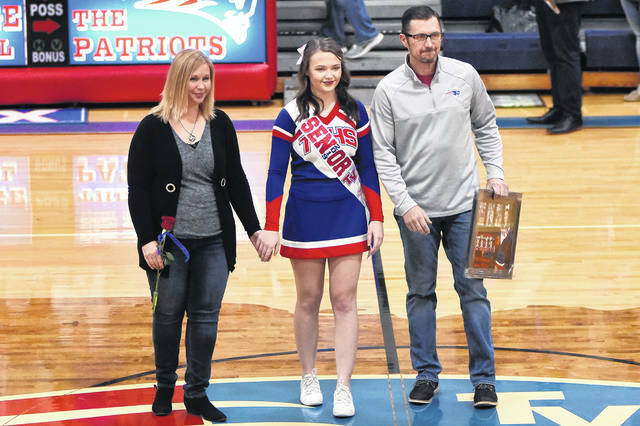 Grace plans to attend Ohio University and major in Nutrition Sciences while also furthering her cheerleading career. 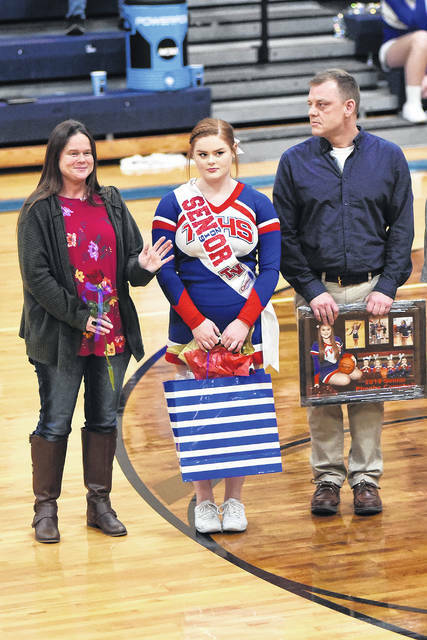 Breanna Wilson is the daughter of Jonathon and Ronda Wilson. She participated in basketball cheer 4 years, football cheer 4 years, dance and competition cheer 4 years. Softball 4 years, volleyball 1 year, key club 1 year and yearbook staff 1 year. Breanna plans to attend Indiana University East for Pediatric Nursing. Austin Bruner is the son of Matt and Stacy Bruner and Nadia Hall. He participated in basketball 4 years, football 4 years, track 3 years, baseball 1 year and powerlifting 2 years. In Football he earned the following honors; MVP of football team, scholar athlete of the week, all conference, all district all area and honorable mention all-state. In track he was district champion in the 100 and 200 meters, competed at state track meet in 100 meters and was the fastest man in the CCC. Austin plans to pursue a degree in exercise science and business and to play football and run track in college. Mason Coby is the son of Shane and Angie Coby. He participated in football 4 years, basketball 4 years and was name football special team’s player of the year. 2 years college credit plus, scholar athlete 1 year and dean’s list 1 year. 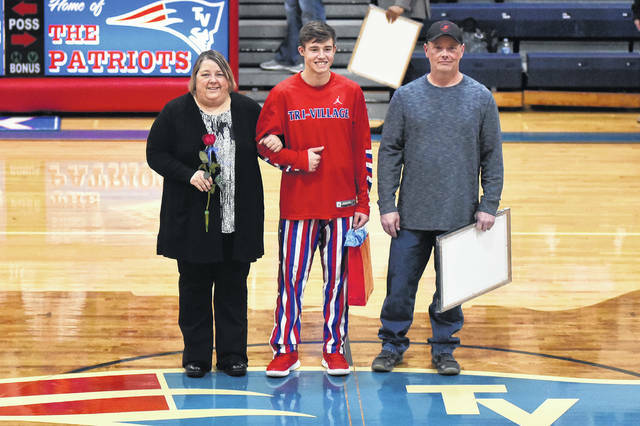 Mason plans to attend Purdue Fort Wayne University and earn a Civil Engineering degree. Derek Eyer is the son of Lyle and Hope Eyer. 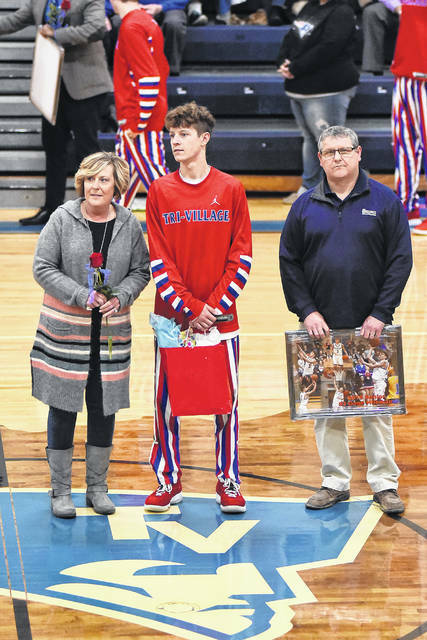 He participated in golf 2 years, basketball 2 years and was named to the Patriot Holiday all-tournament team. Baseball 2 years including special mention all CCC, football 1 year, second team all CCC, first team all-county and honorable mention all-southwest district. Participate in student council 2 years and college credit plus 2 years. Derek is undecided on a college but would like to pursue something in the medical field. Gage Hileman is the son of Jamie Hileman and Kim Shaffer. He participated in basketball 4 years, golf 4 years, basketball 4 years. He was named first team all CCC in golf 2 years and district qualifier 1 year and district runner-up in baseball 1 year. Member of prom court 1 year, prom prince 1 year and project moor 2 years. 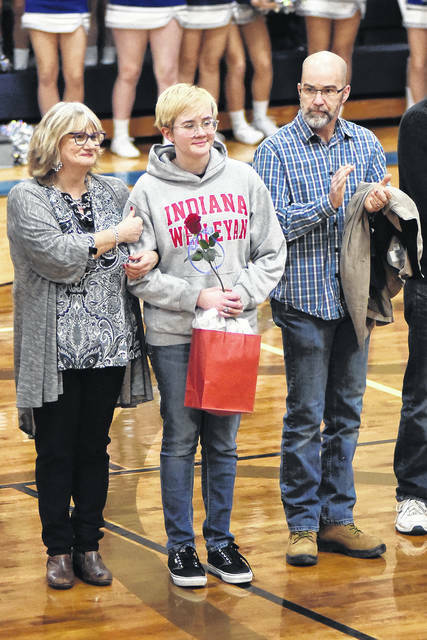 Gage plans to attend Indiana University East and study business. Mason Sullenbarger is the son of Mike and Tammy Sullenbarger. He participated in football 4 years, baseball 4 years, basketball 4 years and powerlifting 1 year. 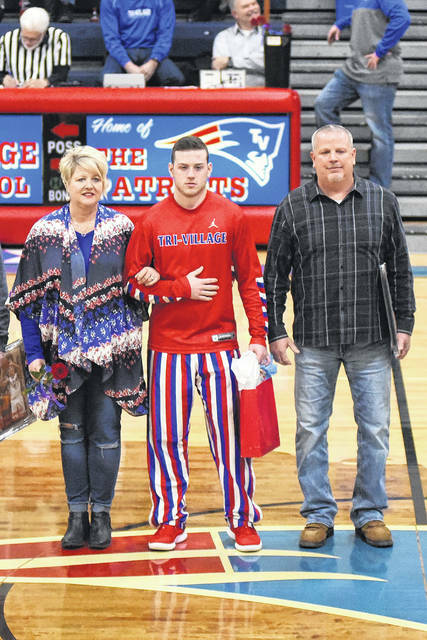 Earned the Hammer award 1 year, defensive player of the year 1 year, patriot award and was first team all-state defensive end senior year in football. 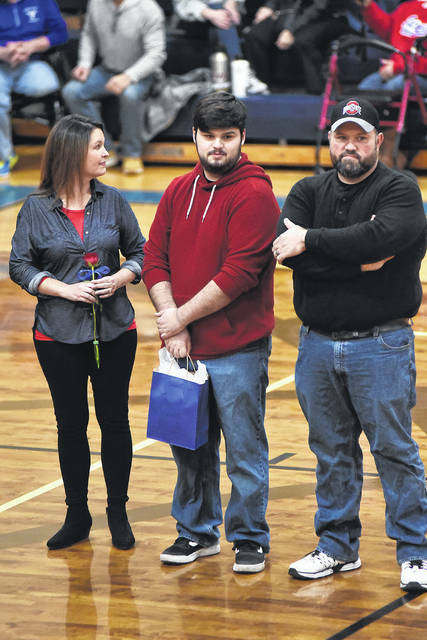 He was member of district runner-up baseball team and district champion basketball team. 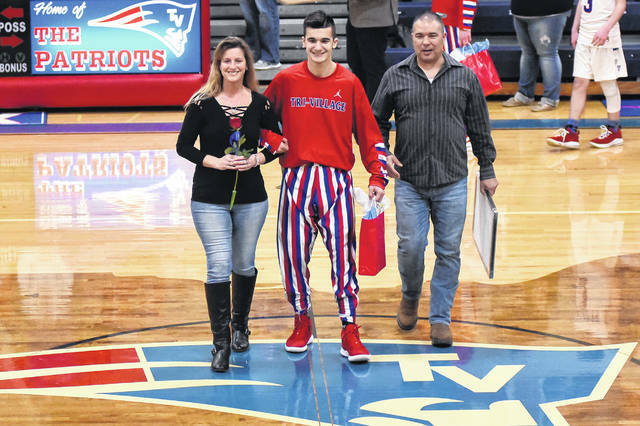 Mason plans to pursue a career in the Electrical field and possibly enlist in the United States Military.